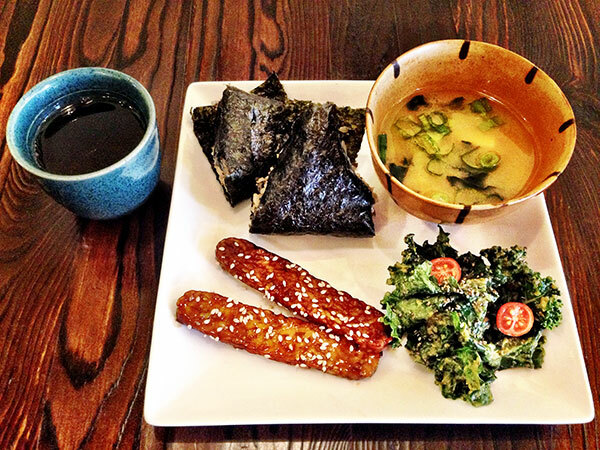 We will be at HB Cherry Blossom Festival! 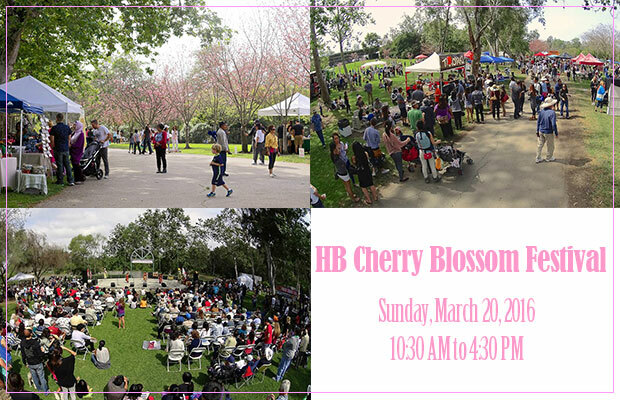 We are pleased to announce that we will be participating in Cherry Blossom Festival held at Huntington Beach Central Park on Sunday, March 20th, and serving our food! There will be a lot of events and vendors and you will be enjoying the festival a lot. Thus, the original location of VegiLicious will be closed on the day of the festival. Please come to the Central Park next to the library and see Akira & Ana at our booth! 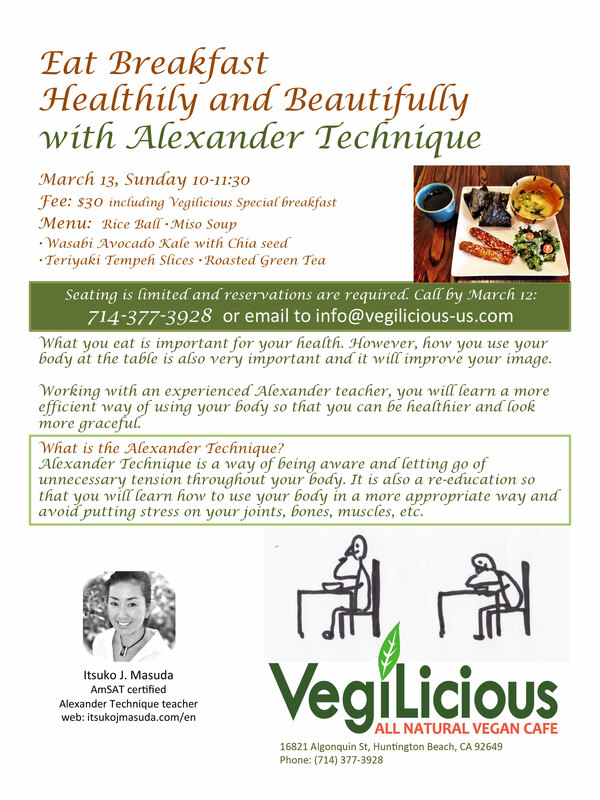 Enjoy having special breakfast at a Vegan Cafe, VegiLicious as well as learning how you use your body at the table with an Alexander Technique teacher, which will make you more healthy and more graceful. Reservations and Prix Fixe Menu only (except for children) during dinner time . We will be serving lunch 11:45-2:30 and dinner 5-9 on Valentine's Day, Sunday, February 14th. If you would like to order this special prix fixe meal during lunch time, please make a reservation by Saturday. Please call 714-377-3928 for a reservation. We need water!Let's save more water. 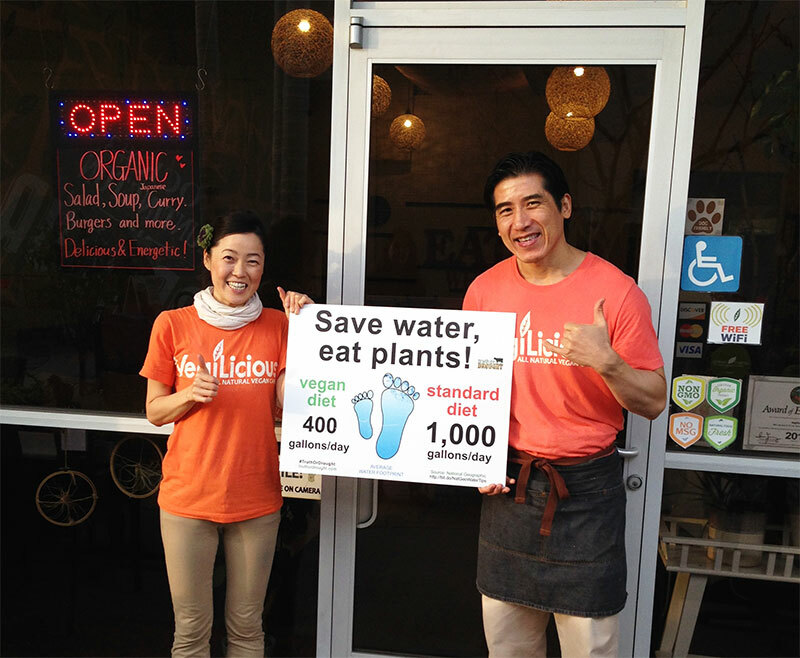 You can save hundreds gallons of water having a vegan meal instead of a regular one.